The perfect fragrance to coax some cozy relaxation into your life, Scentsy Go Eskimo Kiss pods are an arctic-inspired delight. This fun scent has a heart of summer-preserved blackberry jam, all sweetened up with caramelized brown sugar, tempered with vanilla essence and finished with a touch of amber. 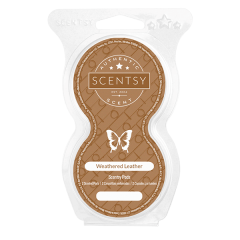 Enjoy a light “kiss” of Scentsy Go Eskimo Kiss pods by placing one pod in your Scentsy Go Unit, or use both pods in this 2-pack for a stronger version of this sweet scent. Get creative and mix it up by swapping in another Scentsy Go variety pod for a customized combo.